You'll also find that Kishwaukee Cardiology Associates emphasizes service for your practice and your patients. With Dr. Patel, you have a reliable partner in caring for your patients' cardiovascular health concerns. Dr. Patel has worked with hundreds of family physicians, internists, and other specialists over the years, joining forces with them to achieve the best possible outcomes. Whether you have a question about a case, need advanced diagnostics, or want specialized help to manage a complex condition, Dr. Patel is here for you. Timely care - New patients consultations happen quickly, usually within a few days of your referral. Dr. Patel sees all cardiac-related emergencies promptly and provides intensive care at Valley West Community Hospital and the Kishwaukee Community Hospital. Accessibility - Dr. Patel is always pleased to consult with referring physicians. He provides prompt reports and regular updates regarding each patient's condition and progress. 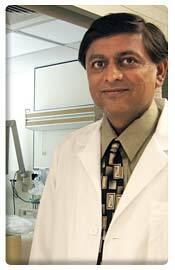 Ongoing communication is key to Dr. Patel's collaborative approach. Your staff will find it easy to work with Dr. Patel and his cardiac nurse, Megan Maple, RN, BSN. They are responsive to all questions and requests and work to simplify the referral process and ongoing patient management. Your patients are sure to appreciate the comfort and convenience of Dr. Patel's local office. With Kishwaukee Cardiology Associates, there's no need for patients to travel to get the high level cardiology care they need.